“Summer Harvest” by Mariah Jade. To bring to life this multi-faceted, whole-person approach to health and wellbeing, we have made space for art in the clinic since we opened. 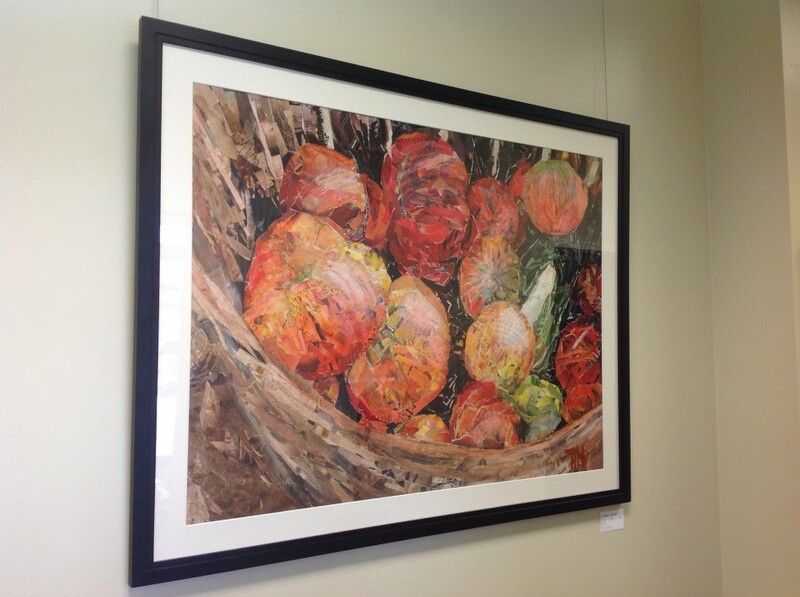 We’ve hosted local visual art on our clinic wall, including several art open houses and receptions. The inaugural artist was Constance Bell and the second was Mariah Jade. In February, we’ll see work from Ashley Tape-Fleming, an artist and massage therapist based in Des Moines. 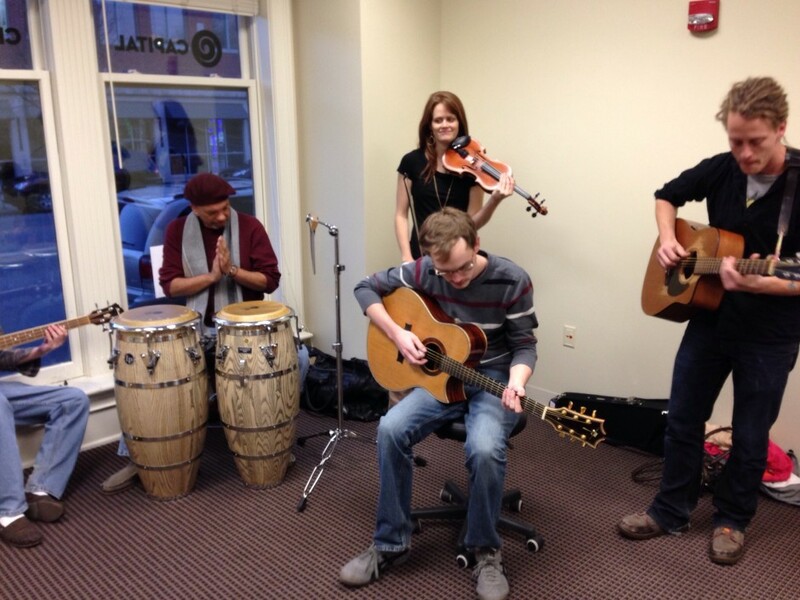 The clinic has also enjoyed local music. During Little Big Fest, put on by the Greater Des Moines Music Coalition, we housed a pop-up concert by GoodcaT. For the performance, musicians and appreciators came together in the waiting room for a 15-minute experience of live art. GoodcaT performance during Little Big Fest. As the clinics grows, stay tuned for more opportunities to interact with local art and the artists who create it. After all, health is not just the “absence of disease,” but rather, the way we eat, move, think, and live. And what is life without art? 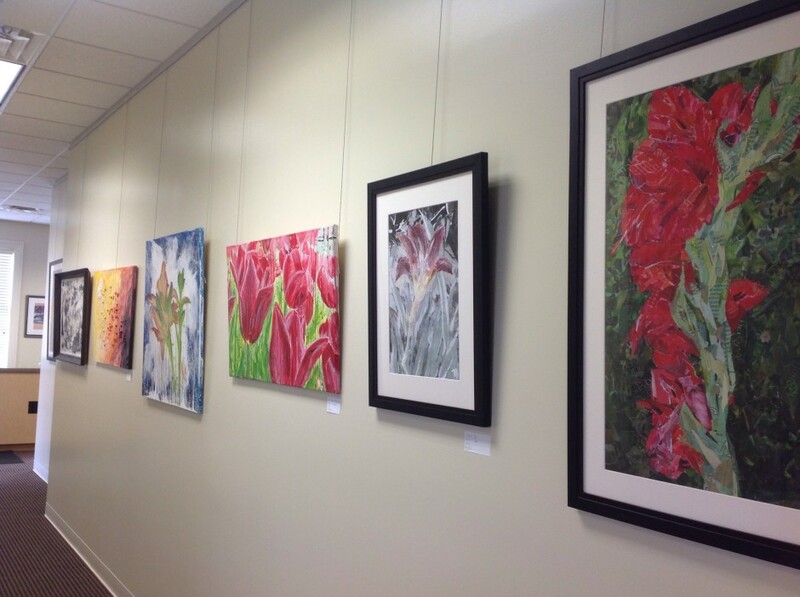 Thanks to all the artists and appreciators who have already passed through the clinic. To many more!